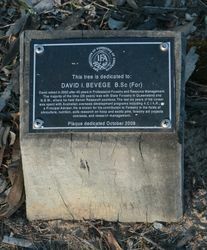 The memorial grove commemorates people involved in the forest industry who have made significant contributions to build a sustainable and renewable forest industry in Australia. 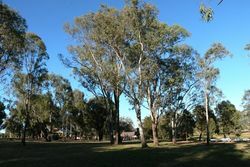 As at the 14th September 2014 approximately 210 trees have been planted. 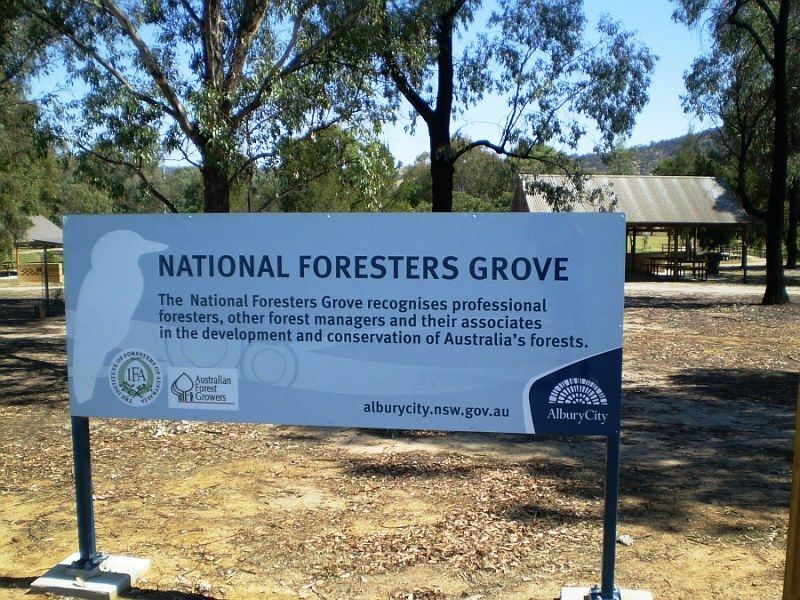 The National Foresters Grove for Australia was developed in concert with the International Bicentenary Forestry Conference organised by the then Australian Forest Development Institute held in April 1988 in Albury, NSW. The idea was driven forward by R.L. 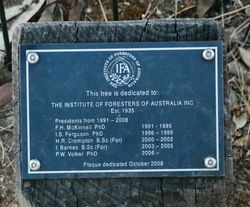 (Bob) Newman, then Honorary National Secretary of the Australian Forest Growers Incorporated (AFDI) and received the support of the Albury City Council and a local committee of Foresters and Forest Industry people was formed. 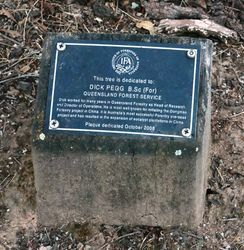 Interest particularly came from State Forests of New South Wales, Peter Crowe, Australian Newsprint Mills (now Norske Skog) staff and R.L. 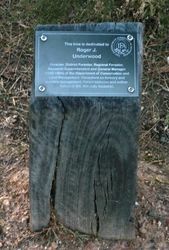 Newman and Partners’ staff of foresters, particularly Paul Wells. 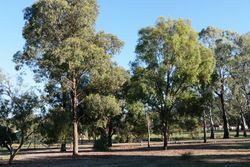 Initially some 35 trees were planted at Wagga Road, North Albury on a 2.5 hectare site, which is owned and maintained by the Albury City Council. 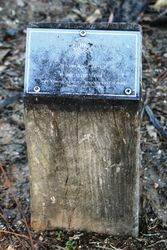 Because the Grove site is very dry and the ground hard, the range of species planted has been limited – mainly Ironbark, Box Casuarina and Red Gum trees – some of which have grown remarkably well. 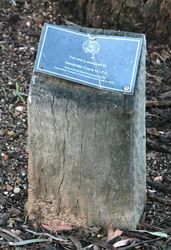 The plaque for each person to whom a tree is dedicated in the Grove has the name on it together with membership of professional or industry associations, and some detail of the individual’s career. 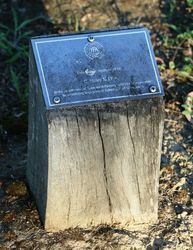 The plaques are secured on a red gum stump placed next to the tree. 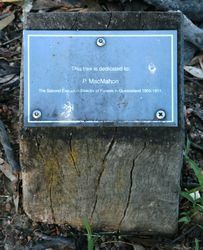 Those with plaques in the National Foresters Grove up to April 2nd 2004: Dr Max Jacobs. 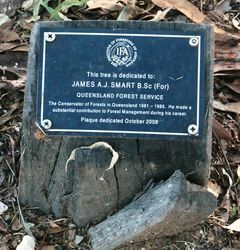 Institute of Foresters of Australia Sir Walter Massey-Greene, D.A.N. Cromer, Mark Taylor, Bridget Ryan, Sibley Elliot, Michael Kartzoff, Roger Cowley, Alexander Anderson, Trevor Ritchie, Ashley Cuddy, J.H. Colless, H.D. Waring, John Youl, John Chinner, Lindsay Pryor, Les Carron, Alan Guymer, Conrad Lembke, Allan Harris. 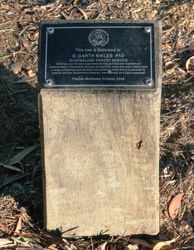 Australian Forest Development Institute/Australian Forest Growers Inc. Neil Barr. The I.U.F.R.O. 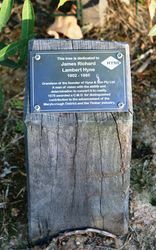 James Ritchie, Keith Lober, E.A. Alstergren, Ken Crawford, William Ritchie, Egon Larson, Hector Wilmott, Jack Gillespie, A. Hyndman-Stein, Brian Nash. Murray Catchment Branch IFA J.B. Jack, R.A. Free, David Hills, K.B. Terry, Ian McLaughlin. Sir Russell Grimwade Scholars, Commonwealth Forestry Association Kelvin McGrath, Leslie Patterson, Wal Gentle, Ian Marks, Andrew Wood, Gilbert Tewson, Jack Sutherland, Neil Carr, Clem Matthews, Colin and Graeme Crawford, Peter Gaussen, Robert Patterson, Ross Florence, Eric Bachelard, Lauchlan Wright, M.W. Edgerley, R.L. (Bob) Newman, Alexander Wallis, Charles Demby. 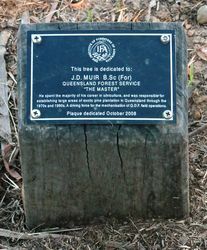 Those who had trees dedicated to them on April 2nd 2004: Queensland G.L. 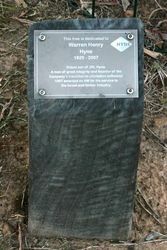 Board, P. MacMahon, Norman Jolly, E.H.F. Swain, Victor Grenning, Alan Trist, C. Haley, William Bryan. Tasmania Alex Crane, Paul Unwin, Murray Cunningham, Peter Lawrence, Donald Kitchener, Reg Needham, William Meadows. Western Australia Charles Lane-Poole, William Wallace, Stephen Kessell, Patrick McNamara, T.N. Stoate, D.W.R. Stewart, Walter Eastman, A.C. Shedley, Bruce Beggs. ACT John Fielding, Alan McArthur. NSW William Muir, Len Hudson, Baldur Byles, Martin Wyatt, Harry Luke, Herbert Porter, Tom Brabin. Victoria Alfred Lawrence, Karl Ferguson, William Zimmer, Ben Benallack, Geoff Weste, Albert Head, James McKinty, Frank Incoll. South Australia James Hancock, Geoffrey Rodger, Peter South, Andrew Keeves, Richard Woods, Norman Lewis, Vincent Healey. 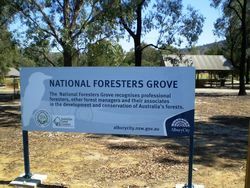 The National Foresters Grove recognises professional foresters, other forest managers and their associates in the development and conservation of Australia`s forests.